President Trump teased automakers in the U.S. and worldwide late Sunday with a characteristically minimalist announcement of China's apparent intention to ease its 40 percent import tariffs on U.S.-made cars. The president said in a tweet that China had "agreed to reduce and remove" the tariffs. 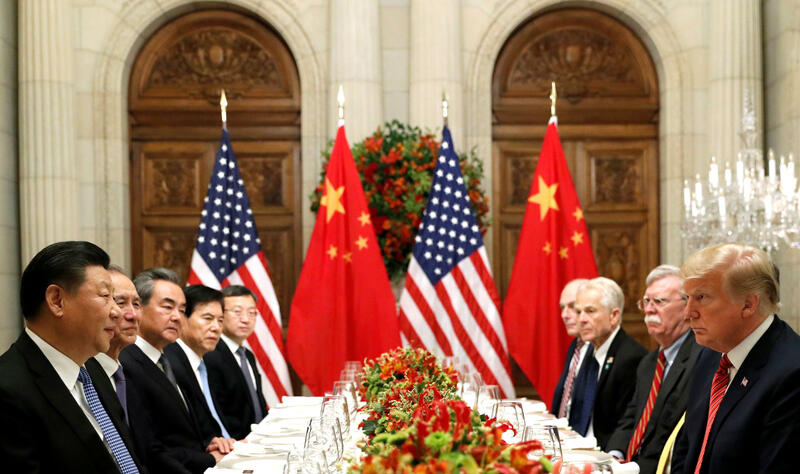 Mr. Trump provided no details of how much of a reduction China had agreed to, and Beijing did not immediately confirm that any deal had been reached to readjust the harsh tariffs, which were brought into effect in July amid an escalating trade war. But the U.S. leader's tweet alone was sufficient to boost stock prices for European auto giants Daimler AG and BMW, the Reuters news agency noted on Monday. Both companies build cars for the Chinese market at U.S. plants, which are thus subject to the Chinese tariffs. Treasury Secretary Steve Mnuchin confirmed to reporters that China had agreed to move towards removing auto tariffs. But the process of tariff reduction, he told reporters on The White House driveway Monday, will be phased in. "I think there's a specific understanding that we're going to now turn the agreement that the two presidents have into a real agreement over the 90 days," Mnuchin said. "Obviously some of the issues are going to need to be phased in. Some of the issues may need more detailed work. But the idea is there will be a real agreement. And as I've said, this is the first time there was a commitment from China that the agreement will include specific dates, specific targets, specific action items. This is not just going to be just kicking the can down the road." When Beijing implemented the 40 percent rate for U.S. imports in the summer, it also dropped its import tariff rate on vehicles from the rest of the world to 15 percent. "If they cancel the extra 25 percent tariff on U.S.-made cars, then we will see positive signs for imported cars," said director of the China Automobile Dealers Association's import committee, Wang Cun, according to Reuters. Mr. Trump's tweet on the apparent deal on auto tariffs came a day after the White House said he and Chinese President Xi Jinping had agreed to a truce in the ongoing trade war, and Mr. Trump agreed not to raise U.S. tariffs on Chinese goods any further for several months. Tariffs on $200 billion of Chinese products had been set to jump from 10 percent to 25 percent after Jan. 1, 2019. The two sides have been sparring since March, when Mr. Trump first began threatening tariffs on products imported from China. Both presidents called the weekend meeting on the side-lines of the G-20 economic summit in Argentina, "highly successful." The White House statement said China had agreed to purchase a "very substantial" amount of American products, including "agricultural product from our farmers immediately." White House press secretary Sarah Sanders said both leaders had agreed to address several issues, including the need to protect so-called "intellectual property," a key issue for American businesses worried about losing competitive technology. Other issues include "structural changes with respect to forced technology transfer, non-tariff barriers, cyber intrusions and cyber theft, services and agriculture." Discussions were to begin immediately, with the goal of an agreement within 90 days.